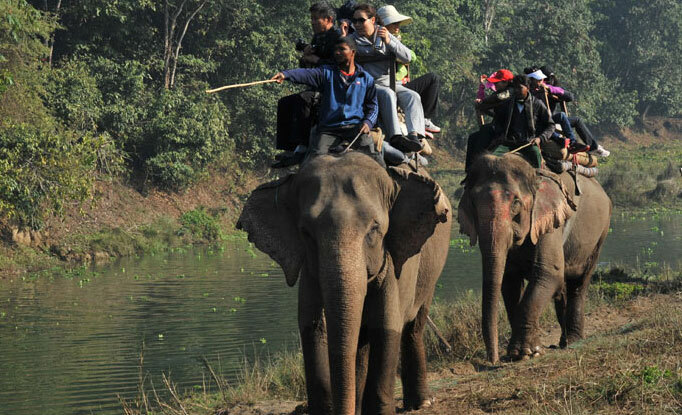 A trip to Nepal is incomplete if you have not been on a jungle safari. 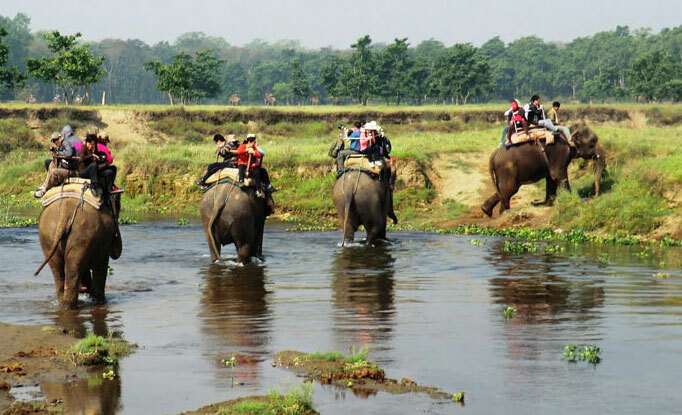 While the mountains of the north have some of the highest and most magnificent peaks in the world, the tropical jungles of the Terai preserve some of the best wildlife habitat in the subcontinent. 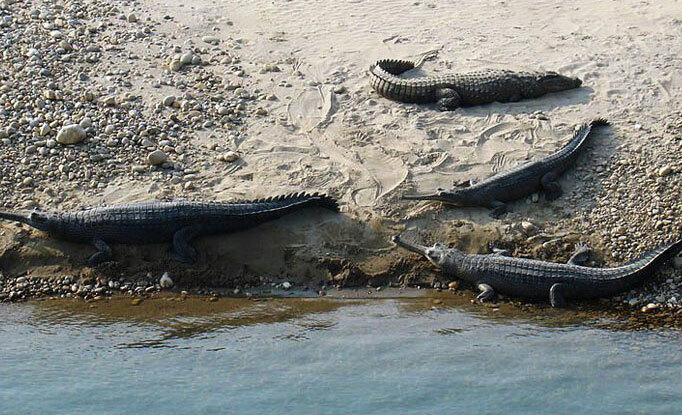 Some of these rich wildlife habitats are now protected, and can be tours on elephant back, 4 WD vehicles, and dugout canoes or on foot accompanied by a licensed guide. Nepal has 16 national parks, wildlife reserves and conservation area, occupying 16% of its total geographical area. 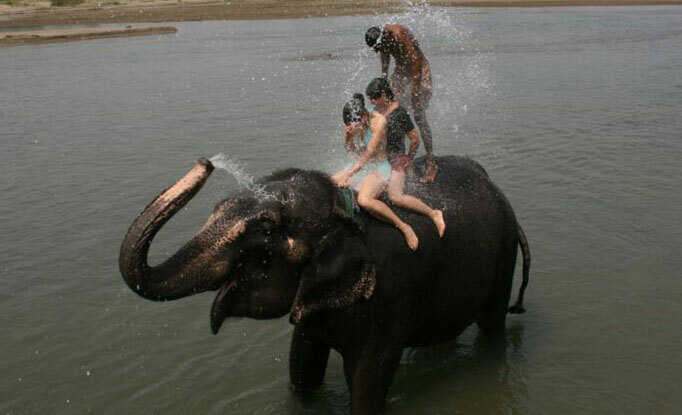 Jungle safaris on elephant back or Jeep rides are offered at the Parsa Wildlife Reserve, Royal Bardia National Park, Royal Chitwan National Park and the Royal Sukhlaphanta wildlife Reserve, all located in the terai. 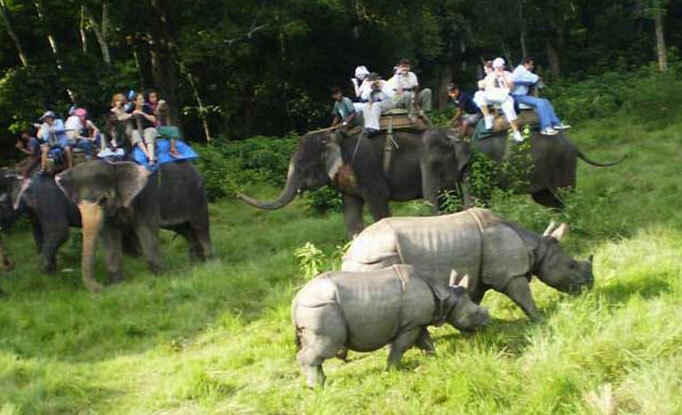 Among them, there are two famous two National Parks Royal Chitwan National Park, & Bardia National Park where you can explore the wild-life getting yourself deep into the heart of the forest, while the others serve as the natural habitat to thousands of animals including Snow-Leopard, Gharials, Crocodiles, Ram, Bob Cats, endagered Red Panda, Elks, Deers, Anteplores, Kasturi, monkeys, hundreds of birds (in fact Arun Valley has the largest population of birds (650+) and butterflies (800+) in the entire world), and butterflies.